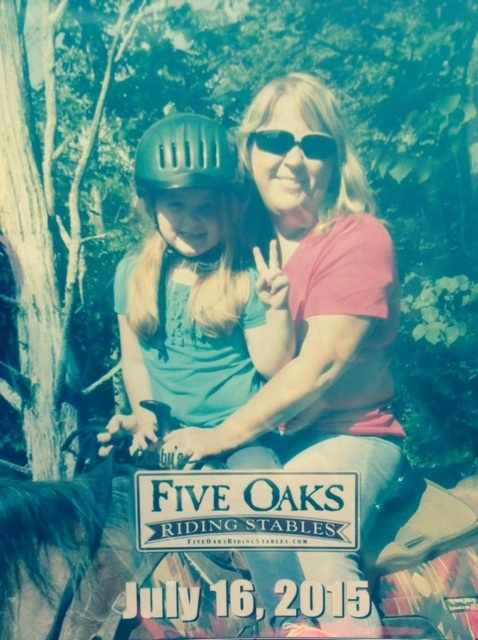 Experience all nature has to offer at Five Oaks Riding Stables. 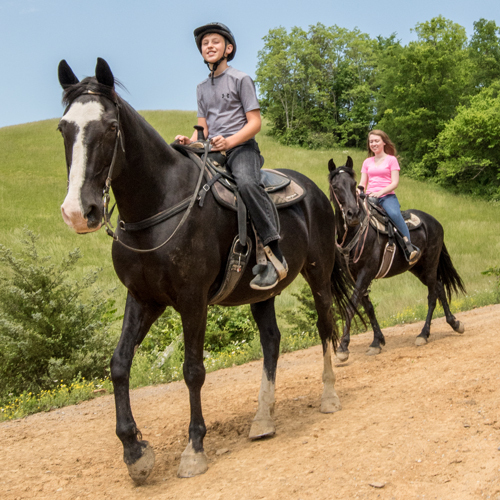 Enjoy a horseback ride through the foothills of the beautiful Great Smoky Mountains National Park. The trails give a wonderful view of Mt. Leconte, as well as mountain streams, wildlife, and a breathtaking spring-fed lake in this 70-acre mountain setting. Fun for the entire family! Helmets provided for 12 years and younger. Guests must not exceed 270 lbs. Tours are 30 minutes or 1 hour. 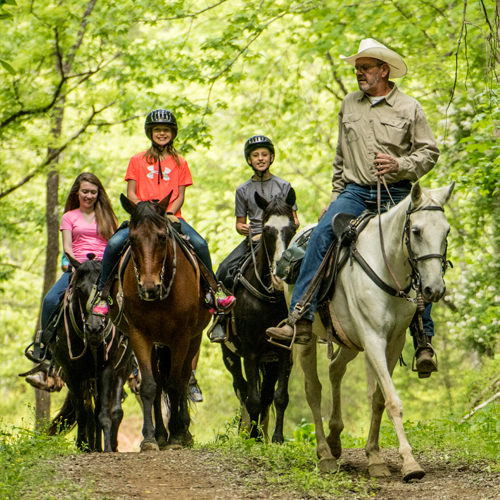 Horseback ride through 70-acre nature park. Enjoy mountain streams and amazing views. Trail horses are calm and easy-going. 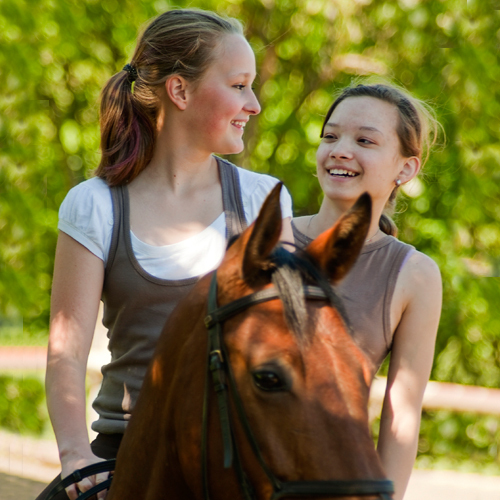 Enjoy all nature has to offer at Five Oaks Riding Stables. 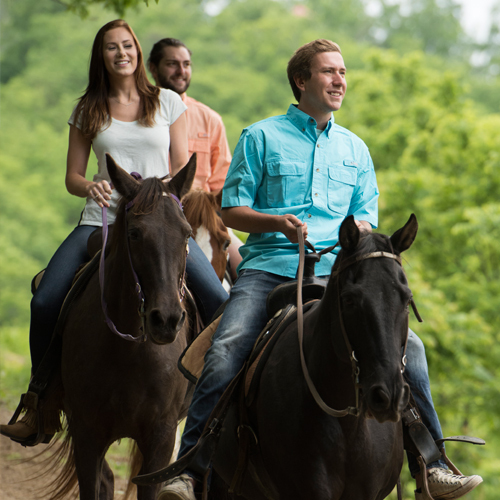 You'll enjoy a horseback ride through the foothills of the beautiful Great Smoky Mountains National Park. On our wide, secure trails you will have a wonderful view of Mt. Leconte and pass mountain streams. There is a very good chance to see a variety of wildlife on this tour as well. Sightings of deer, wild turkey and other wildlife native to our area are common. You will also pass a breathtaking spring-fed lake in this 70 acre mountain setting, a view in itself worth the price of the ride! Helmet is mandatory for riders 12 and younger. Helmet is provided. Riders must be at least 4 years old to ride a horse. IMPORTANT: All children below the age of 16 must be accompanied by an adult. Double Riders allowed for ages 3 to 5 years old with 1 hour paid adult ticket. Additional charges apply. How long do I get to ride a horse for? 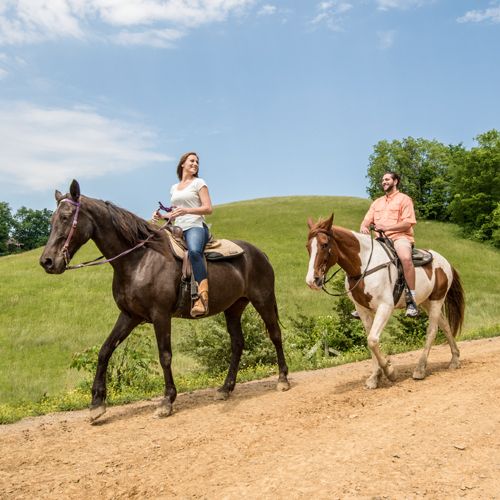 Our horses will take you on a six-mile guided trail ride. How many horses are available? We have 60 beautiful horses. Do I get to choose the horse I ride? 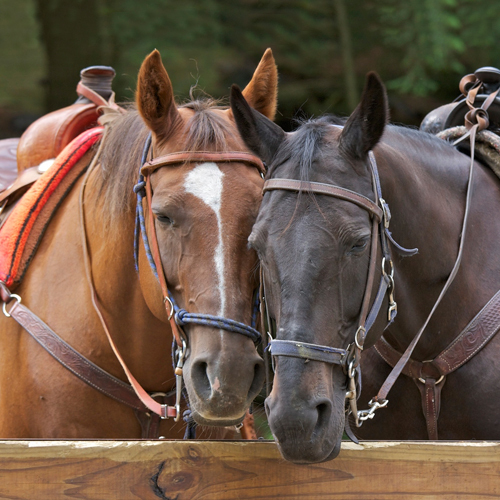 While our horses are gentle, loving creatures, they each have their own unique personality and characteristics. 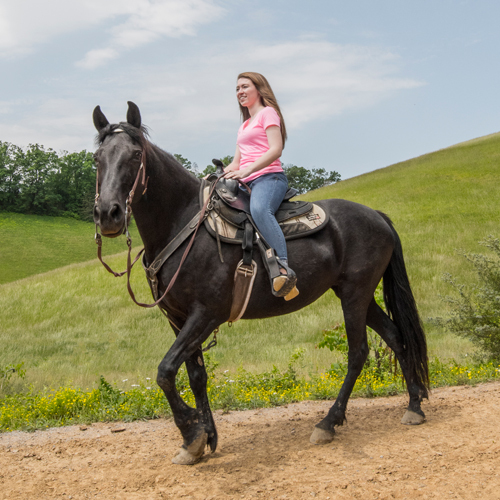 For this reason, we assign horses to individuals based on age, physical structure, and other factors such as previous horseback riding experience. 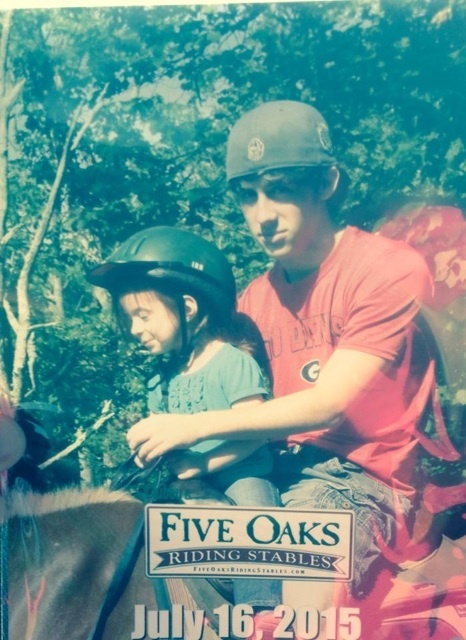 Where is Five Oaks Riding Stables located? We are located at 1630 Parkway, Sevierville, TN 37862. Is a weight limit in place? Yes. Guests may not exceed 270 lbs.